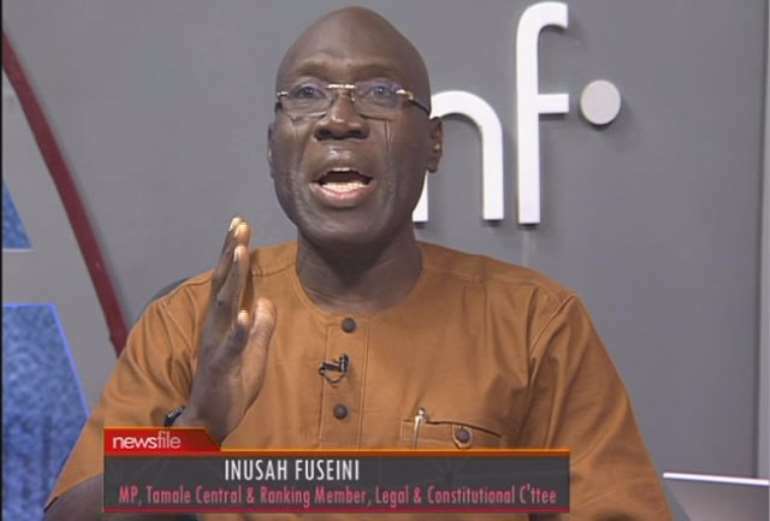 Tamale Central Member of Parliament (MP), Inusah Fuseini says the Senior Minister was politically incorrect when he criticized the president in public for praising the Jospong Group of companies last month. He said Yaw Osafo Maafo shirked his obligation as an appointee to defend the action of president Nana Addo Dankwa Akufo-Addo when he had the opportunity. “The chicken has come home to the roost…the centre cannot hold any longer,” Mr Fuseini said. The president had praised CEO of Jospong Group, Joseph Siaw Agyepong for the work his companies are doing to address sanitation issues in the country. 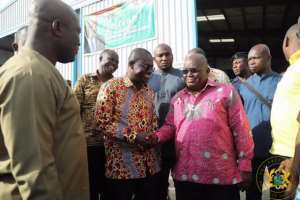 During a visit to the Accra Compost and Recycling Plant at Adjen Kotoku in November, president Akufo-Addo sympathized with Mr Agyepong over allegations of corruption levelled against him. “When you are at the forefront of doing things like you are, you will be the subject of controversy, it goes with the territory. I know you a little bit, and I know you are capable of handling it. Stay focused,” the president said. But anti-graft agencies have criticized the posturing of the president, saying it could undermine the fight against corruption. Companies affiliated to the Jospong Group of Companies have been cited in some reports both local and international, for engaging in questionable transactions. In 2013, the World Bank banned Zoomlion from bidding for its contracts after it was embroiled in controversies surrounding the Emergency Monrovia Urban Sanitation Project. Investigations by Joy News’ Manasseh Azure Awuni revealed a sanitation contract awarded to five Jospong affiliated companies to procure one million waste bins and 900,000 disposable bin liners may have been inflated by ¢130million. The contract awarded by the Local Government Ministry in November 2016 was worth $74,040,000 (¢318million). 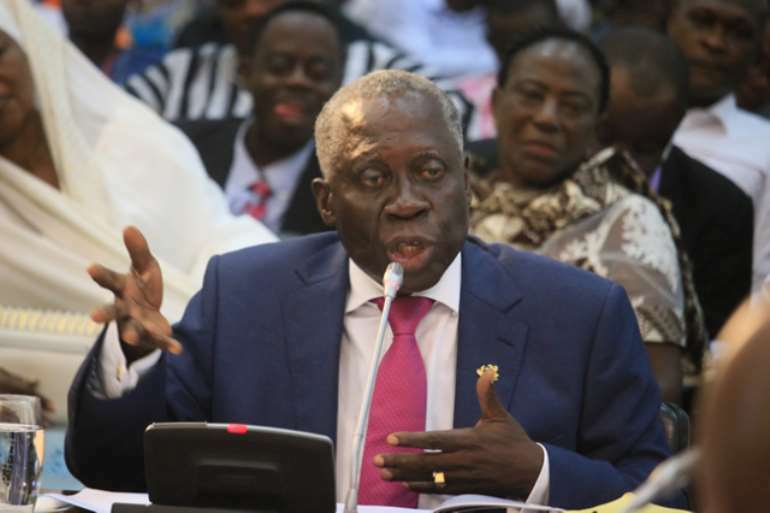 Answering a question at the launch of the Anti-corruption campaign in Accra Monday, Mr Osafo Maafo said the president’s praise of Mr Agyepong "will not be right” if the allegations against him are accurate. “It’s certainly not right. It will give the wrong signals if you are seen to be pampering or endorsing a known wrongdoer," he said. But the Lands Minister said the senior minister was supposed to have defended the president’s action. “As an appointee of the president, you are under the obligation to protect the president, defend and serve him,” Mr Fuseini told Evans Mensah on Joy FM’s Top Story. But “he did the exact opposite,” he said, adding Mr Osafo Maafo “became the president” when he condemned his boss.